Google has announced that it has been granted an e-money licence and authorised as a payment institution in the Republic of Ireland, paving the way for it to begin providing new financial services to consumers and businesses both in Ireland and the EU. The Central Bank granted authorisation to Google Payment Ireland under the second Payment Services Directive (PSD2) regulation on Christmas Eve. Having obtained authorisation, the company will be allowed to issue and acquire payments across the European Union under passporting rights. The move comes two years after Facebook obtained an e-money licence from the Central Bank. It also follows on from the granting of a full e-money licence to Google from the Bank of Lithuania late last month which allows it to issue and redeem electronic money, as well as provide payment services. Currently, Google only offers limited financial services through its Google Pay digital wallet. Obtaining the different licences, however, could enable the company to significantly expand on this. “We are constantly working to support our customers in Europe. We have applied for a payment licence in Ireland as part of these efforts, in addition to ongoing discussions relating to projects all around Europe,” said a spokeswoman for Google. PSD2 legislation permits regulated companies to, among other things, initiate online credit transfers on behalf of a user and pass those instructions to a bank. It also enables them to provide additional services such as a detailed analysis of an individual’s spending behaviour to help with budgeting and financial planning. Florence Diss, Google’s head of commerce partnerships in Europe, said Google was more focused on working with, rather than competing against, banks to explore opportunities from PSD2. Many of the largest technology companies in the world have been expanding into financial services in recent years, with Amazon also widely believed to be keen on taking on the banks. They face competition, however, not just from traditional banking institutions but also from a range of FinTechs including N26, Monzo, Starling, Transferwise and Revolut, which recently obtained a full banking licence from the Bank of Lithuania. A few years ago in its Why Google Bank Won’t Happen report, Forrester said the high costs and strict regulation of setting up a traditional bank – alongside advertising revenue coming from banks – will push internet firms into roles that support the relationship between banks and their customers. These include transactional payment services, financial advice, money management and product comparisons. “[Google] will be by integrating digital assets such as its search engine, Google Maps, Gmail, Google Play, and Google Now that Google could redefine financial services. Thanks to these capabilities, Google is well positioned to disrupt four interlinked areas, disintermediating incumbents in the process,” said the research. 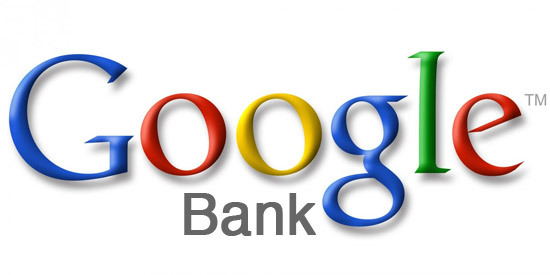 Google is always held up as the ultimate FinTech with Google bank a concept that has been extensively covered and the authorisation of Google could signal major disruption for existing suppliers. The post Google granted e-money licence for EU appeared first on Payments Cards & Mobile.